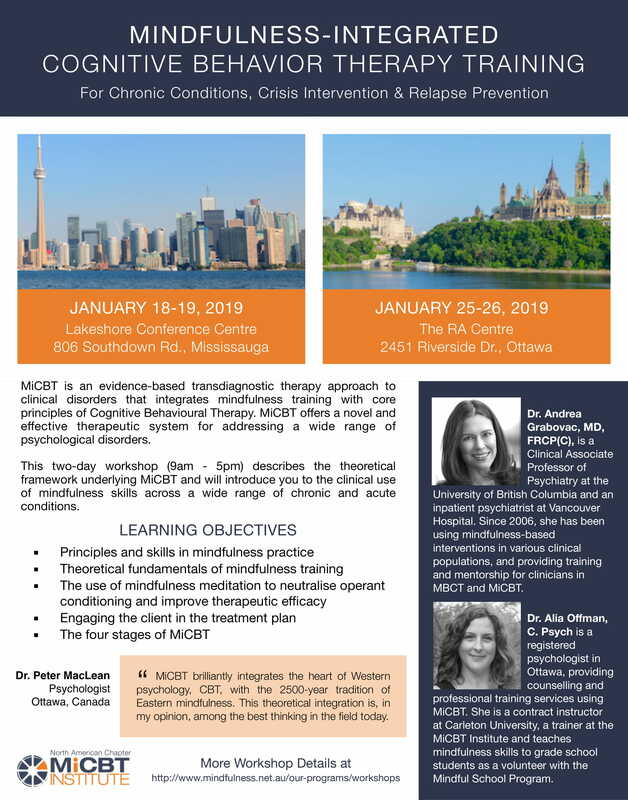 The MiCBT Institute is pleased to announce the opening of the North American Chapter of the MiCBT Institute, directed by Dr. Alia Offman and Dr. Andrea Grabovac. The North American Chapter will be delivering two workshops in Eastern Canada in January 2019. Please see registration details below. Dr. Andrea Grabovac, MD, FRCP(C), is a Clinical Associate Professor of Psychiatry at the University of British Columbia. Dr. Alia Offman, C. Psych, is a registered psychologist in private practice in Ontario and a Contract Instructor at Carleton University. The North American Chapter of the MiCBT Institute acts as a service provider under the guidance of the MiCBT Institute in Australia. The Chapter works closely with the Institute to provide consistency and continuity in its professional activities. The Chapter operates from Canada and provides a North American context for training and certification. 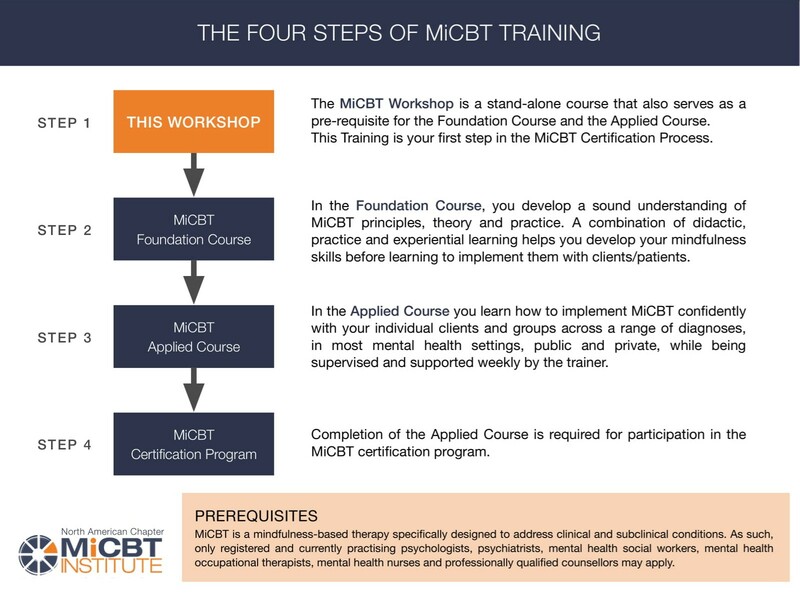 The MiCBT Institute now offers Certification for clinicians wishing to further their skillful application of MiCBT. Your international certification through the MiCBT Institute provides patients, referral sources, and employers with evidence of your demonstrated competency. The certification process includes individual mentoring sessions and strengths assessment and is flexible and self-paced. Please join the mailing list to keep up to date with all the MiCBT courses, workshops and certification updates provided by the North American Chapter.